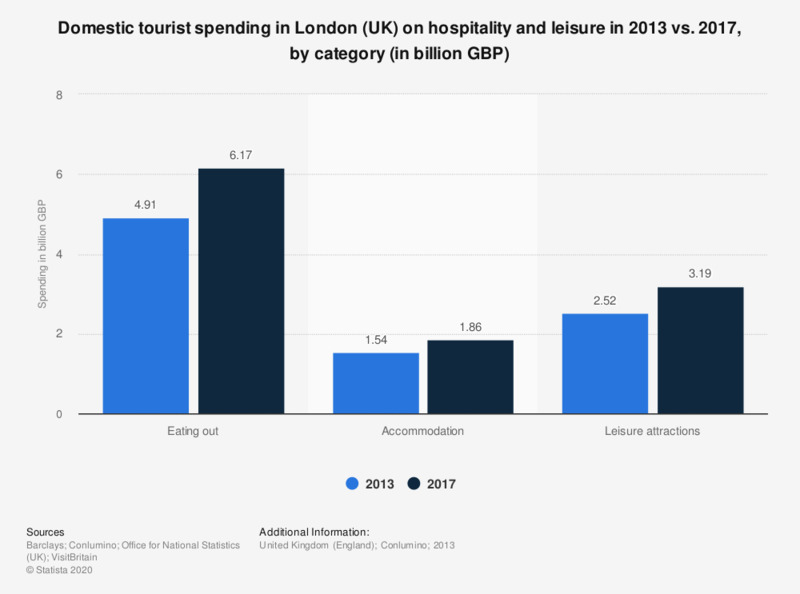 This statistic displays a forecast for domestic tourist spending in London (UK) in hospitality and leisure in 2013 and 2017, by category. Eating out saw the highest amount of spending by domestic tourists in 2013 at over 4.9 billion British pounds, forecasted to rise to over 6 billion British pounds in 2017. Statistics on "Domestic tourism in London in the United Kingdom (UK)"
How much do you think that promoting domestic tourism can help the economy in the U.S.?